White House officials are considering limiting a tax break that encourages home purchases. The incentive mostly helps the rich and induces risky behavior. The gimmick has also had little impact, with the home-ownership rate falling to a 51-year low in 2016. Its demise is welcome. 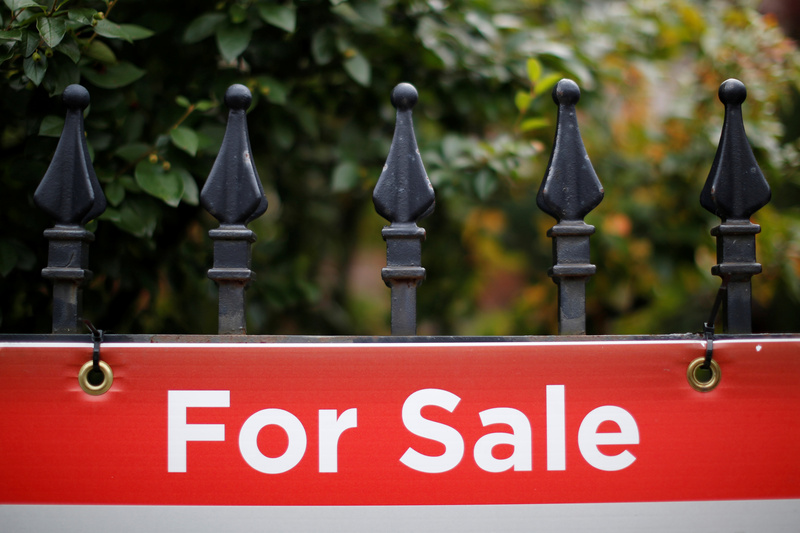 A real estate sign is seen hanging on a fence in front of a house for sale in Ottawa, Ontario, Canada, August 15, 2017. Republican lawmaker Kevin Brady, chairman of the Ways and Means Committee of the U.S. House of Representatives, will give a speech on tax reform at President Ronald Reagan's ranch in California on Aug. 16. Reagan was in office the last time there was a major overhaul of the tax code in 1986. The administration of President Donald Trump is considering reducing the mortgage interest deduction as part of its tax-reform push, Politico reported on Aug. 4. Under current law, homeowners can deduct interest on up to $1 million of home-mortgage principal and interest on up to $100,000 in other debt such as a home-equity loan. One option is to cut the mortgage principal cap to $500,000. Such a move would raise about $319 billion over the next 10 years from mainly high-income individuals, according to a Tax Foundation analysis released on Aug. 7. The largest tax increase would fall on taxpayers in the top 1 percent, who would see their after-tax income fall by 0.62 percent. A small number of middle-class taxpayers would see that income fall by less than 0.1 percent.